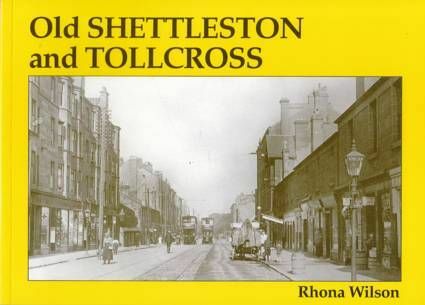 Pictures of Carntyne farm show that Shettleston and Tollcross were once rural neighbourhoods, far from the city centre. In fact when Eastbank Academy was built in the early 1890s its proposer was ridiculed because the school was considered to be too big for a village. For the most part, however, Rhona Wilson's book shows these east end districts as bustling tenement suburbs, their streets crammed with pubs, shops and trams. Horse-drawn carts, steam trains, and a glimpse of the old Green's Cinema complete the picture.